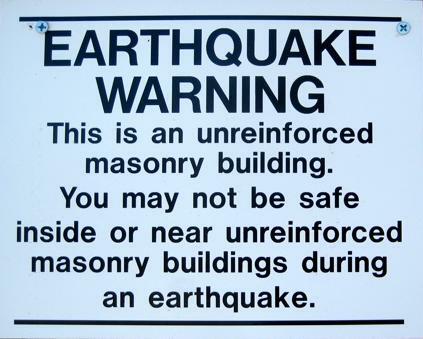 Bob Jones University: Leveled By An Earthquake? 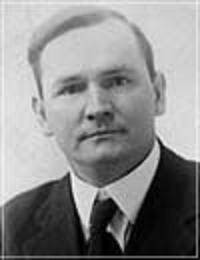 Bob Jones, Sr. (1883–1968), an evangelist and contemporary of Billy Sunday, established Bob Jones College in 1927 near Panama City, Florida. In 1933 the college was moved to Cleveland, Tennessee, and finally to its present location in Greenville, South Carolina in 1947 where it became Bob Jones University (BJU). Bob Jones University, a non-denominational Protestant university, is the largest private liberal arts university in the state of South Carolina. It has the reputation of being one of the most conservative religious schools in the United States. In fact Bob Jones University requires the King James Version Bible (KJV) to be used in its services and classrooms, but it does not hold to the belief that the KJV is the only acceptable English translation of God’s Holy Word (AKA “King James Only”). BJU has taken the position that the KJV is a substantially accurate translation, but only the original manuscripts of the Bible written in Hebrew and Greek are infallible and inerrant. So, that’s what “Jr.” had to say on the “King James Only” subject. But what did his dad (Bob Jones, Sr.) have to say asbout it? Now we are facing great peril more dangerous, more serious, than we’ve ever known. 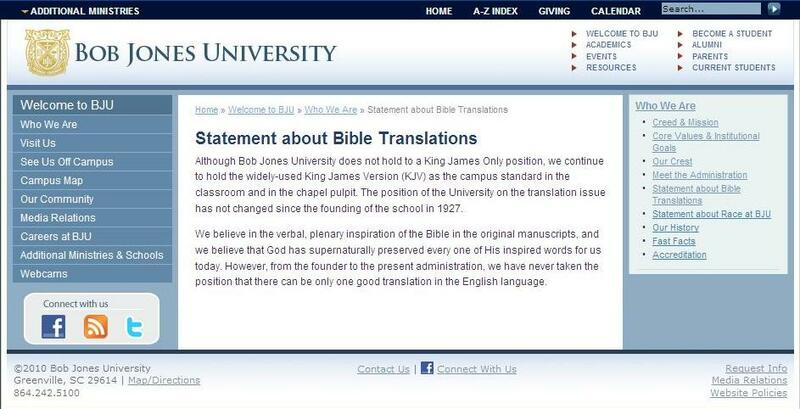 Now Bob Jones University has taken it’s stand for the Bible. That’s the fight today: the Word of God! That’s the battleground right now. Is the Bible the Word of God? It’s essential that every man believes that the Bible is the Word of God if he’s going to be a Christian. Bob Jones University says ‘yes’ and no man is a Christian that doesn’t believe it. He can talk as pious as he pleases. If he tears out the first leaf of the Bible, Jesus said, if you don’t believe earthly things how do you believe heavenly things. When you convince a young fellow that the Bible is wrong in any particulate, you’ve sold his soul down the river and you’ve sent him out on a career in this world that’s hopeless and dark. Now listen. You put in your Bible a little statement: “Whatever this Bible says is so!” Write it in your Bible there. Put it on the filing. Underscore it for your children. You’ll be saved. A lot of these fellows are half-baked; they just don’t know. They know how to run an organization, but they just don’t know what the Word of God teaches. And you can’t know until you approach it with a spiritual understanding. Then if you believe what’s said about the heavenly things you’ll believe what’s said about the earthly things. So which one was it? Which one of those “revised” Bibles did Bob Jones, Sr. discover to be the blasphemous mis-translation of God’s Holy Word? 1.) Bob Jones, Sr. recorded his radio program messages from 1927 until 1962. The message “We Speak That We Do Know”, in which he criticized the “revised” Bible, was one of those radio program messages. Because of the time limitations, the “revised” Bible had to be the “RV”, “ASV”, or “RSV”. 4.) Following the 1952 publication of the“Revised Standard Version”, large numbers of fundamentalists and evangelicals accused the translators of deliberately tampering with the Scriptures in order to deny the doctrine of the Virgin Birth of Jesus. This “RSV” controversy helped reignite the “King James Only” movement within the Independent Baptist and Pentecostal churches. The “King James Only” movement was initially formed in protest to the “RV” and “ASV” publications, but remained low-key due to the versions' lack of popularity. So with those four (4) facts in mind, it is abundantly obvious that Bob Jones, Sr. joined hands with his “fundamental/evangelical” Brothers in Christ to protest the “Revised Standard Version” and it’s demonic ability to “convince a young fellow that the Bible is wrong in any particulate”. King James Version: A little while, and ye shall not see me: and again, a little while, and ye shall see me, because I go to the Father. Revised Version: A little while, and ye behold me no more; and again a little while, and ye shall see me. American Standard Version: A little while, and ye behold me no more; and again a little while, and ye shall see me. Revised Standard Version: "A little while, and you will see me no more; again a little while, and you will see me." New American Standard Bible: "A little while, and you will no longer see Me; and again a little while, and you will see Me." King James Version: This is he that came by water and blood, even Jesus Christ; not by water only, but by water and blood. And it is the Spirit that beareth witness, because the Spirit is truth. For there are three that bear record in heaven, the Father, the Word, and the Holy Ghost: and these three are one. And there are three that bear witness in earth, the Spirit, and the water, and the blood: and these three agree in one. Revised Version: This is he that came by water and blood, even Jesus Christ; not with the water only, but with the water and with the blood. And it is the Spirit that beareth witness, because the Spirit is the truth. For there are three who bear witness, the Spirit, and the water, and the blood: and the three agree in one. American Standard Version: This is he that came by water and blood, even Jesus Christ; not with the water only, but with the water and with the blood. And it is the Spirit that beareth witness, because the Spirit is the truth. For there are three who bear witness, the Spirit, and the water, and the blood: and the three agree in one. Revised Standard Version: This is he who came by water and blood, Jesus Christ, not with the water only but with the water and the blood. And the Spirit is the witness, because the Spirit is the truth. There are three witnesses, the Spirit, the water, and the blood; and these three agree. Now the Greek word “monogenes” was included in the “Westcott-Hort Grrek New Testament”… however, it was mis-translated in the “Revised Standard Version” in order to take away from the deity of Christ. So, if Bob Jones, Sr. got up in arms about the missing “begotten” word in the “Revised Standard Version”, what do you think he had to say about all the missing “Words of God” in John 16:16, Ephesians 3:9, and 1 John 5:6-8 that substantiate the Godhead (Father, Son, and Holy Ghost)? The dominating concern for all Bible-related courses, from English Bible to Theology and Ethics, in Bob Jones University is what the Bible teaches. This is of paramount importance to us because we believe in the verbal inspiration and absolute inerrancy of the Bible. We believe, as Fundamentalists have always believed, that this inspiration refers to the original manuscripts. "The record for whose inspiration we contend is the original record -- the autographs or parchments of Moses, David, Daniel, Matthew, Peter, or Paul as the case may be and not any particular translation or translations of them whatever" (The Fundamentals, "Inspiration of the Bible," p. 127). So, what’s going on? Who was the scallywag that propped open the Bob Jones University back door and allowed Satan to come in with his perverted Bibles? When we teach the content of the Bible, we naturally study a passage in the Greek Testament. To aid the students in understanding that passage, we will take to class the King James Bible, which often gives an exact rendering of the Greek. Sometimes we will consult some other conservative translation, such as the American Standard Version of 1901 or the New American Standard Bible (not the liberal R[evised] S[tandard] V[ersion]), which at times gives the most accurate rendering of the Greek. We are always trying to help the students grasp the exact meaning of the original Greek text. There are a few passages in which the delicate shades of meaning in the Greek are missed by all English translations, in which cases we must explain from the Greek text itself those fine shades of meaning. We would not use a liberal paraphrase in class except as an illustration of a mistranslation, which we would at once correct by a true translation. We have no sympathy with any version of the Bible that is not faithful to the Greek text. Because we believe in the inspiration of the original manuscripts of the Old and New Testaments, it is important that we have a Greek Testament that will be as close to the readings of the original as possible. Through the carelessness of scribes who copied manuscripts, many varying readings have crept into them. But God in His providence has preserved for us the original reading through the large number of manuscripts in existence that witness to the text of the New Testament. Today there are two Greek texts available. One is the Received Text, edited by [a] Roman Catholic scholar, Erasmus, in the sixteenth century and based on manuscripts of the late Middle Ages. It is often called the "Byzantine" or the "majority text." The other is the Greek Testament, edited by Westcott and Hort in the nineteenth century and based upon the manuscripts of the fourth century, usually called the "Alexandrian text." The King James Version was based upon the "Received Text"; the American Standard Version was based upon the text of Westcott and Hort. We do not believe that either of these texts is "liberal" or "conservative." Not only Erasmus but also Westcott and Hort were seeking to present a close copy of the original text. 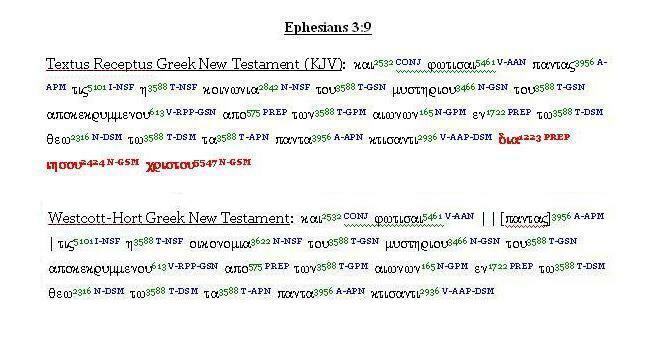 We are interested in which one is closer to the original text of the New Testament. Because (1) the Alexandrian manuscripts are much older and closer to the time the originals were written, (2) a careful comparison of these manuscripts with those of the Middle Ages has convinced us that a more accurate and careful job of copying was done by the Alexandrian scribes, and (3) Erasmus had to work in haste and with limited resources, it is our conviction that these Alexandrian manuscripts, which were not known to Erasmus, are, as a rule, the more accurate manuscripts to follow. Therefore, along with the great majority of conservative scholars, we believe that the text based upon the Alexandrian manuscripts is, as a whole, superior to the text based upon manuscripts of the Middle Ages. 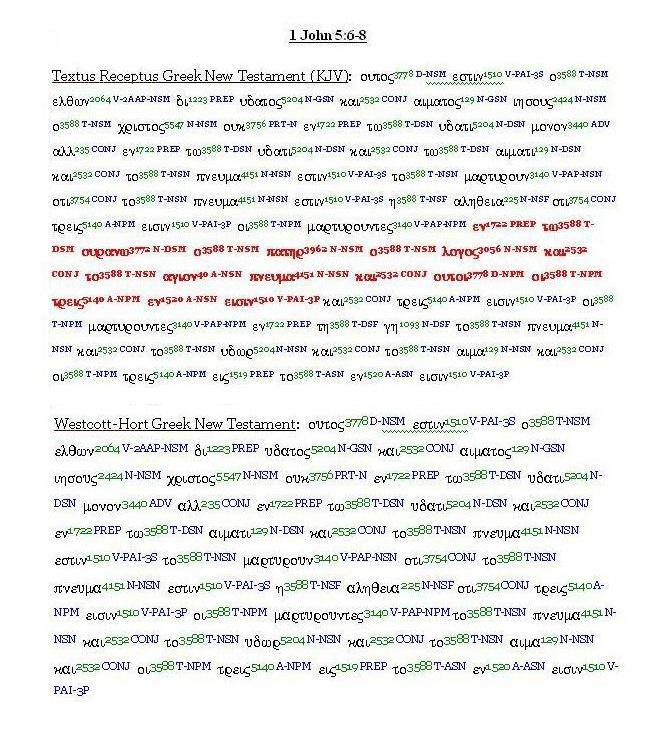 The portion of the New Testament that has any substantial variation between the various manuscripts is only about one word in a thousand. These variations in no way change the teaching of the New Testament on any doctrine. Therefore, we consider this not an issue of modernism versus conservatism but a matter of individual judgment on the part of Fundamental Christians. Christians should be free to choose and use either of these texts and still work together in harmony to teach and preach the Word of God to those who are without it. Source: Bob Jones University. "Position of the Bible Department of Bob Jones University on the Scripture" (mimeograph). Office of the President, no date. Printed in Standing Without Apology: The History of Bob Jones University by Daniel L. Turner. Greenville, S.C.: Bob Jones University Press, c1997. Appendix D., p. 322-323.In addition, "...both the Chancellor and the President issued statements to clarify the school's position." p. 244. And "in keeping with the University's commitment to balance, it is interesting to note that among the Bob Jones University graduate school Bible faculty, there are some who hold to the superiority of the Majority Text and others who hold to the Westcott and Hort Alexandrian Text. None of the Bible faculty accepts the Textus Receptus of Erasmus as superior to either the Majority or Alexandrian texts." p. 245.